Start taking classes at Korefire Fitness and other studios! 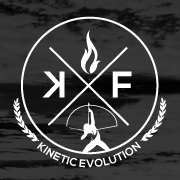 Korefire Fitness is one of Brea's only Lagree Fitness Method™ studios. The Megaformer™ M3 will give you a high intensity, low impact workout. Grip socks are required! Socks can be purchased at the studio if you don't have one. Towels are recommended. Please arrive 10 minutes early if you're new to the studio even if you've taken a class elsewhere on the Megaformers. If you are late, you will be turned away. They will not mark you as absent and they will notify Classpass of the situation. Korefire is located at the corner of Lambert Road and Brea Boulevard in the Founder's Plaza. They have loads of parking! Jill is a great instructor! Difficult class but not intimidating. Loved the class! Felt those tiny muscles i never knew I had burn so good! Definitely coming back! Hannah was a great instructor! Hard but she was encouraging! Great, well-rounded class. Instructor payed attention to form and was very encouraging.